Fitted blouse with a yoke and wide piping details at front. 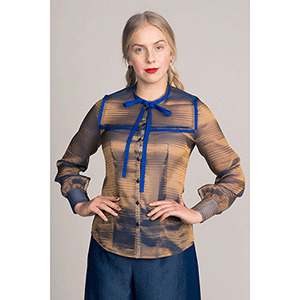 Button down front with a short stand-up collar and a bow tie closure. Bishop sleeves with slits and wide cuffs with a button closure. 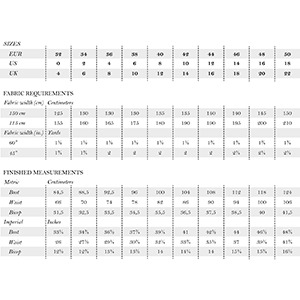 Suggested fabrics are specialty wovens, chiffon, organza, and other light shirting.